Don’t be intimidated by the fact that this is a mousse recipe. Most can be a little tricky and some recipes can be down right risky. This one is foolproof. The consistency is perfect every time. 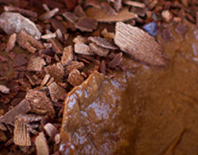 You can vary the richness of this dessert by your choice of chocolate. 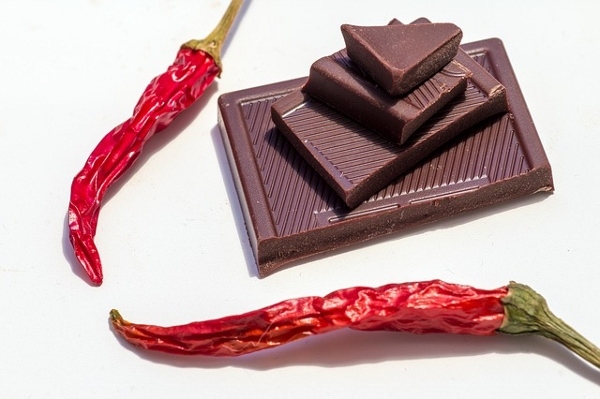 The chocolate pairs beautifully with the chile. It’s a natural marriage of flavors. Purchase some inexpensive wine or dessert holiday glasses for a festive presentation. Or tie red and green ribbons around wine glasses that you already have. Make the dessert in advance, refrigerate and then just garnish with a little whipped cream, light sprinkling of chile powder and fresh mint for a gorgeous presentation.